The author worked for the Royal National Lifeboat Institution for 28 years, latterly as its Public Relations Director. He has been turning his knowledge and experience into books that chart the history of lifeboats. This book is part of the excellent Sutton “The xxxxx Story” series. Now an imprint of The History Press, Sutton has followed the standard format for the series. This produces a pocket size book at a very low price, printed in full colour throughout. It is lavishly illustrated with well-captioned images and “Did you know?” margin notes. The result is a great deal of information packed into a very convenient sized book at an affordable price. The author has traced the story from the formation of the RNLI voluntary organization 180 years ago as the first formal service dedicated to saving life at sea. Through its history, the RNLI has always commissioned vessels to its own exacting specifications and required a self-righting capability. Through its history, the RNLI crews have served all those in difficulties around the coasts of the British Isles in fair weather and foul, in peace and in war. 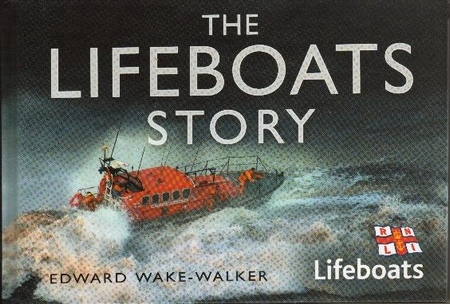 This book covers all of the developments that have led to an expansion of the roles performed by the RNLI.